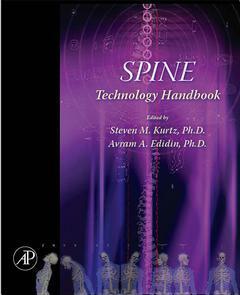 · Related website provides the latest information on spine technology including articles and research papers on the latest technology and development. · Major technologies reviewed include devices used for fusion (screws, plates, rods, and cages), disc repair and augmentation, total disc replacement, and vertebral body repair and augmentation. · Technology landscape, review of published/public domain data currently available, and safety and efficacy of technology discussed in detail. Dr. Kurtz has been researching ultra-high molecular weight polyehtylene(UHMWPE) for use in orthopedics for over 10 years. He has published dozens of papers and several book chapters related to UHMWPE used in joint replacement. He has pioneered the development of new test methods for the material in orthopedics. Dr. Kurtz has authored national and international standards for medical upgrade UHMWPE. As a principle engineer at Exponent, an international engineering and scientific consulting company, his research on UHMWPE is supported by several major orthopedic manufacturers. He has funding from the National Institutes for Health to stdy UHMWPE changes after implanatation in the body, as well as to develop new computer-based tools to predict the performance of new UHMWPE materials. Dr. Kurtz is the Director of an orthopedic implant retrieval program in Philadelphia which is affiliated with Drexel University and Thomas Jefferson University. He teaches classes on the performance of orthopedic polymers (including UHMWPE) at Drexel, Temple, and Princeton Universities.